But industry-specific acronyms can have multiple meanings, and sometimes Wikipedia doesn't do them justice. 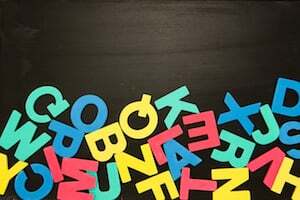 That's why we curated 34 of the most common marketing acronyms and 41 of the most common business acronyms -- and put them into an epic glossary you can skim, study, or bookmark and save for later. The more you know, the more likely you'll be able to understand and participate in conversations going on around you. The four steps of the now somewhat outdated Purchase Funnel, wherein customers travel from consideration to purchase. Learn more here about a more current purchase consideration cycle. The four criteria sales reps use to qualify prospects. A famous tool for sales reps and sales leaders to help them determine whether their prospects have the budget, authority, need, and right timeline to buy what they sell. B = Budget: Determines whether your prospect has a budget for what you're selling. 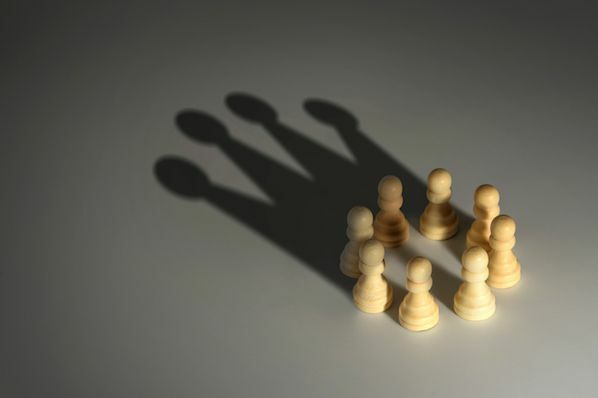 A = Authority: Determines whether your prospect has the authority to make a purchasing decision. N = Need: Determines whether there's a business need for what you're selling. T = Timeline: Determines the time frame for implementation. The BANT formula was originally developed by IBM several decades ago. We don't think BANT is enough anymore: Learn more about the qualification criteria set by HubSpot's VP of Sales. Email bounce rate: The rate at which an email was unable to be delivered to a recipient's inbox. A high bounce rate generally means your lists are out-of-date or purchased, or they include many invalid email addresses. In email, not all bounces are bad, so it's important to distinguish between hard and soft bounces before taking an email address off your list. Learn about hard and soft bounces here. A U.S. law passed in 2003 that establishes the rules for commercial email and commercial messages. This regulation gives recipients the right to have a business stop emailing them, and outlines the penalties incurred by those who violate the law. For example, CAN-SPAM is the reason businesses are required to have an "unsubscribe" option at the bottom of every email. Learn more about CAN-SPAM here, and check out this post to discover what factors affect email deliverability. A Canadian law passed in 2013 that regulates the sending of "commercial electronic messages." CASL covers email, texts, instant messages, and automated cell phone messages sent to computers and phones in Canada. Learn more of the details on CASL here. The most coveted job in the marketing organization chart. A CMO's skill set is rooted in marketing fundamentals but expands into personnel development, quantitative analysis, and strategic thinking. Learn more about what it takes to be a CMO here. At HubSpot, we think COS (Content Optimization System) is better than CMS. Find out why. Take a CMS (Content Management System), and optimize it to deliver customers the most personalized web experience possible. Learn more about HubSpot's COS here. An internet advertising model where the advertiser pays for each specified action someone takes, like an impression, click, form submit, or sale. You can decide if a given action is a lead or a sale. Marketers use it to figure out spending for the desired action they are driving people toward. The amount of money spent to get a digital advertisement clicked when running a PPC advertising campaign. CPC is used to assess the cost effectiveness and profitability of your campaign. The amount it costs for your marketing organization to acquire a lead. This factors heavily into customer acquisition cost (CAC), and is a metric marketers should keep a keen eye on. The percentage of people who completed a desired action on a single web page, such as filling out a form. In general, pages with high conversion rates are performing well, while pages with low conversion rates are performing poorly (though there can be exceptions to this rule). A set of software programs that lets companies keep track of everything they do with their existing and potential customers. At the simplest level, CRM software lets you keep track of all the contact information for these customers. But CRM systems can do lots of other things, too, like tracking email, phone calls, and deals; sending personalized emails; scheduling appointments; and logging every instance of customer service and support. Some systems also incorporate feeds from social media such as Facebook, Twitter, LinkedIn, and others. The goal is to create a system in which Sales has lots of information at their fingertips and can quickly pull up everything about a prospect or existing customer. The process of improving your site conversion using design techniques, key optimization principles, and testing. It involves creating an experience for your website visitors that will convert them into customers. CRO is most often applied to web page or landing page optimization, but it can also be applied to social media, CTAs, and other parts of your marketing. Learn more here. A text link, button, image, or some other type of web link that encourages a website visitor to take an action on that website, such as visiting a landing page to download a piece of content. The action you want people to take could be anything: Download an ebook, sign up for a webinar, get a coupon, attend an event, and so on. A CTA can be placed anywhere in your marketing -- on your website, in an ebook, in an email, or even at the end of a blog post. Learn more about how to make CTAs effective. The percentage of your audience that advances (or clicks through) from one step of your marketing campaign to the next. As a mathematic equation, it’s the total number of clicks that your page or CTA receives divided by the number of opportunities that people had to click (ex: number of pageviews, emails sent, etc). Direct Mail: The delivery of advertising material to recipients of postal mail; also called "junk mail" by its recipients. Direct mail is a dubious investment for most businesses -- here's why. Direct Message: A message on Twitter used to get in touch with Twitter followers directly and in private. DMs can be sent from one person to another, or within a group. Most accounts only allow DMs from their followers, but many businesses allow DMs from anyone. To learn more about how DMs work, check out this resource from Twitter. A service by Google that generates detailed statistics about a website's traffic and traffic sources, and measures conversions and sales. Marketers use it to get to know their audience, trace their customers' paths, and make a visual assessment of how visitors interact with their pages. Click here to find out why analytics from HubSpot and Google don't match. A type of performance measurement companies use to evaluate an activity's success. While KPIs are used throughout a business, marketers look at KPIs to track progress toward marketing goals. An internet advertising model where advertisers pay a publisher (usually a search engine, social media site, or website owner) a certain amount of money every time their ad is clicked. For search engines, PPC ads display an advertisement when someone searches for a keyword that matches the advertiser's keyword list, which they submit to the search engine ahead of time. Flat rate, where the advertiser and publisher agree on a fixed amount that will be paid for each click. Typically this happens when publishers have a fixed rate for PPC in different areas on their website. Bid-based, where the advertiser competes against other advertisers in an advertising network. In this case, each advertiser sets a maximum spend to pay for a given ad spot, so the ad will stop appearing on a given website once that amount of money is spent. It also means that the more people click on your ad, the lower PPC you'll pay and vice versa. Learn more about getting started with PPC here. PR is all about getting a company in front of the right audiences at the right time with messages that make its spokespeople sound like human beings, not robots. The idea is to earn media attention, rather than buy it. The goal? To inform the public, prospective customers, investors, partners, and employees, and prompt them to adopt a certain view about the company, its leadership and employees, and its products or services. Today, that effort has a lot to do with content creation and distribution. For example, a good PR employee might work with an online newspaper to publish an article featuring their company in an attractive light. Download our free, step-by-step press release templates here, along with a full guide of tips and ideas for effective promotion strategies and answers to frequently asked PR questions. A request to load a single web page on the internet. Marketers use them to analyze their website and gauge how large their audience is. Scannable barcodes used by marketers to bridge offline and online marketing. When people see them, they can take out their smartphone and scan the QR code using a QR barcode scanner app. The information encoded by QR codes can include text, a URL, or other data. Learn how to create a QR Code here. An RSS Feed is a web feed that publishes frequently updated information like blog posts, news stories, and podcasts. They let publishers syndicate data automatically, which is why they're sometimes known as "Really Simple Syndication." When you subscribe to a website's RSS, you no longer need to check their website for new content -- instead, your browser will automatically monitor the site and give you timely updates. 2) You can post a "retweet with comment" that includes your own commentary in addition to the information you're retweeting. When you see "Please RT" in someone's tweet, it means they are requesting that their followers retweet that tweet to spread awareness. Learn more about retweets here. Any software that is hosted by another company, which stores your information in the cloud. Examples: HubSpot, Dropbox, IM clients, and project management applications. Techniques that help your website rank higher in organic search results, making your website more visible to people who are looking for your brand, product, or service via search engines like Google, Bing, and Yahoo. There are a ton of components to improving the SEO of your site pages. Search engines look for elements including title tags, keywords, image tags, internal link structure, and inbound links -- and that's just to name a few. Search engines also look at site structure and design, visitor behavior, and other external, off-site factors to determine how highly ranked your site should be in the search engine results pages. Learn more about SEO here. Social media platforms are places you can post links, photos, videos, and other content, in the hopes that thousands of people will see it, click on it, interact with it, and share it with their own networks. Some of the big ones: Facebook, Twitter, Instagram, and Snapchat. When people use social media to market their business to customers, potential customers, journalists, bloggers, employees, potential employees, and anyone else in the social universe. Download our guide to global social media marketing here to learn how to run social media campaigns for a worldwide audience. A person who visits a website more than once within a defined period of time. Marketers use this term in contrast with overall site visits to track the amount of traffic on their website. If only one person visits a webpage 30 times, then that web page has one UV and 30 total site visits. The passing of information from person to person. Technically, the term refers to oral communication, but today it refers to online communication, as well. WOM marketing is inexpensive, but it takes work and involves leveraging many components of inbound marketing like product marketing, content marketing, and social media marketing. Learn more about creating a powerful WOM marketing strategy here. Internet hosting that provides computer-based services (aka SaaS products) to customers over a network. A computer programming term meaning a series of rules. APIs allow an application to extract information from a service and use that information in their own application, or sometimes for data analysis. It's kind of like a phone for applications to have conversations -- an API literally "calls" one application and gets information to bring to you to use in your software. APIs facilitate the data needed to provide solutions to customer problems. Companies that sell to other businesses. Examples: Slack, Google. Companies that sell directly to consumers. Examples: Amazon, Apple, Nike. The most senior corporate officer, executive, or administrator in charge of managing a company. This person is responsible for maximizing the company's value and making high-level decisions about policy and strategy, and typically reports to the board of directors. The senior-most executive responsible for managing the financial risks at a company, including financial planning, record-keeping, and reporting. This person is the financial spokesperson of the company, and typically reports to the CEO and the board of directors. The senior-most executive responsible for the management, implementation and usability of information and computer technologies at the company. The CIO figures out how these pieces of technology benefit the company or improve an existing business process, and then integrates a system to actually make that benefit or improvement happen. The senior-most executive responsible for managing and overseeing the ongoing business operations within a company. The COO typically reports to the CEO and tends to be second-in-command within the company. The senior-most executive responsible for developing and overseeing all the policies and programs that protect the people, intellectual assets, and tangible property of a company. This includes everything from privacy and data protection to environmental security, health, and safety. Sometimes called the "chief technical officer," the CTO is the senior-most executive responsible for focusing on all the scientific and technological issues within an organization. This role is most common in companies within technology-based industries of all different types, from software and ecommerce to biotech and automotive. A language that manages the design and presentation of web pages: color, look, feel, and so on. It works together with HTML (see HTML), which handles the content of web pages. Think of HTML as the skeleton of your webpages, while CSS is the clothing. With CSS, you can create rules to tell your website how you want it to display information. And you can keep the commands for the style stuff -- fonts, colors, and so on -- separate from the commands for the content. They’re called “cascading” because you can have multiple style sheets, with one style sheet inheriting properties (or “cascading”) from others. Learn more here. Colloquially, EOD means the end of the business day -- whatever that means to the person speaking. I might tell a colleague, for example, that I'll get her the report "by EOD tomorrow." In some cases, EOD takes on the more formal meaning of the end of the trading day in financial markets. Similarly to EOD, EOW simply means end of the week. In colloquial terms, this might mean around the end of the business day on Friday. The language used to direct the architecture of your website, landing pages, and emails. HTML lays out the structure of your website, from the title and first header, to a bulleted list, to your footer. "HTML is the skeleton of your webpages, while CSS is the clothing." Learn more here. A numerical label assigned to each device participating in a computer network that uses the Internet Protocol for communication. An organization (commercial, community-owned, nonprofit, or otherwise privately owned) that provides internet services. Once you have the LTV and the CAC, compute the ratio of the two. If it costs you $100,000 to acquire a customer with an LTV of $437,500, then your LTV:CAC is 4.4 to 1. Changes in levels expressed with respect to the previous month. These changes are more volatile than quarter-over-quarter or year-over-year and tend to reflect one-off events like holidays, website troubles, natural disasters, and stock market crashes. Compare the average of whatever you're measuring in Month X with Month Y to calculate the MoM change. To calculate percentage growth: Subtract Month Y number from Month X number, divide the result by Month X number, then multiply the final result by 100. A time period starting at the beginning of the current month and ending at the current date. An Internet slang term used to warn people that the content they're about to read or watch -- whether it's an email, video, forum, or something else -- is not suitable for a work environment. Usually, this means there's profanity or inappropriate content, and it's best to watch it on your own time. As a phrase, meaning "out of the office." As in, "I'm OOO next week." As an adjective, meaning "out-of-office." As in, "I wrote an OOO auto-reply so I don't have to check email while I'm on vacation." It doesn't necessarily mean you're on vacation; it just means you're not physically in your office. In other words, you can be OOO in Aruba with your family, or you can be OOO at a conference, at a doctor's appointment, at your daughter's soccer tournament, and so on. Usually, when you're OOO, you set up an auto-reply for your email. Here's a list of 17 of the best OOO email messages we've ever seen in case you need some inspiration. PMs are, quite literally, the managers of a project. 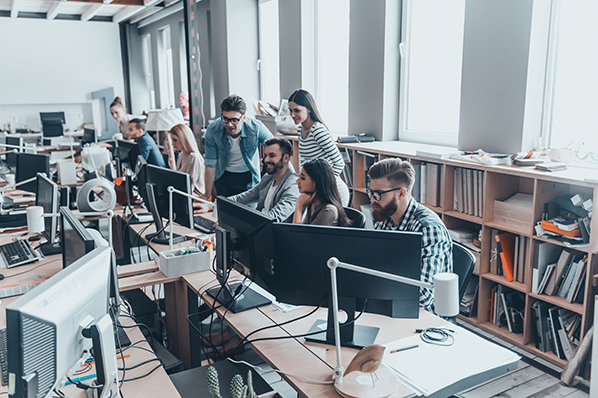 Although they usually don't participate directly in whatever it takes to produce the end result of a project, they're there to regulate a project's progress, figure out ways to reduce the risk of failure, maximize benefits, and minimize costs. They're also the first point of contact for anything that might go wrong. PTO is a time-off policy some companies have that give employees flexibility in how they use their allotted vacation and sick days. Typically, it means a company gives its employees a bank of hours that pool together given vacation days, sick days, and personal days. Employees can then pull from this bank as needed. PTO is often earned on a month-to-month basis or every pay period, and if employees take off more time than they have PTO available, they then technically "owe" the company for that time -- or they can arrange with their employer to take the time off without pay. PTO can differ greatly depending on the position and company you're in. It's best to check with your HR department to get more information on your policy. Changes in levels expressed with respect to the previous quarter. QoQ numbers tend to be more volatile than year-over-year, but less volatile than month-over-month. A time period starting at the beginning of the current quarter and ending at the current date. A performance measure used to evaluate the efficiency and profitability of an investment. The formula for ROI is: Gain from Investment minus Cost of Investment, divided by Cost of Investment. The result is expressed as a percentage or ratio. If ROI is negative, then that initiative is losing money. The calculation can vary depending on what you input for gains and costs. Marketers should measure the ROI on every tactic and channel they use. Many facets of marketing have fairly straightforward ROI calculations (like PPC), but others are more difficult (like content marketing). A SWOT analysis is when a company conducts a study to pinpoint its internal strengths and weaknesses and its external opportunities and threats. It gives a strategic view of the main opportunities and challenges that exist within their particular market. The outcome of the analysis? A high-level action plan containing the most important tasks that will impact the success of a given department or the organization as a whole. 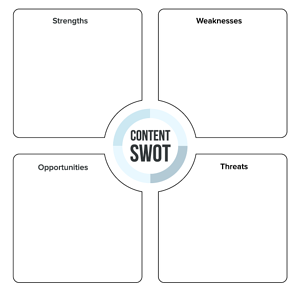 Learn how to do a content marketing SWOT analysis here. A type of interface that allows users to control a software application or hardware device. A good user interface provides a user-friendly experience by allowing the user to interact with the software or hardware in an intuitive way. It might include a menu bar, toolbar, windows, buttons, and so on. Learn how to create a user-friendly website registration process here. Also known as a web address, a URL is a specific character string that refers to a resource. It's displayed on the top of a web browser inside an "address" bar. Learn how to optimize your URLs for search here. The overall experience a customer has with a particular business, from their discovery and awareness of the brand all the way through their interaction, purchase, use, and potential advocacy. To deliver an excellent customer experience, you have to think like a customer, or better, think about being the customer. Learn more about this mindset here. Changes in levels expressed with respect to the previous year. YoY incorporates more data than MoM or QoQ, so it gives you a better long-term view. A time period starting at the beginning of the current year and ending at the current date. These are just 75 of the most used terms at the moment. New trends are emerging all the time, and the truly best marketers make it a point to continue learning. If you're interested in continuing your marketing education, consider trying one of these types of marketing trainings. Got a marketing or business acronym to add to the list? Comment below with the term and its definition. Editor's Note: This post was originally published in June 2014 and has been updated for freshness, accuracy, and comprehensiveness.